About seven years ago, Or Offer, back then the owner of an online jewelry business, had a meeting with a partner from the US which changed his life. He was asked about one of his competitors, which was gaining a lot of reputation in the US market. Much to the surprise of the partner, Or wasn’t familiar with the David Yurman jewelry brand at all. The customer, who found it funny that Or was not aware of his competitors overseas, told Or he should look it up. Or discovered a rival business, which was doing everything right – from design to marketing and branding. He decided that the fact that he was not aware of this interesting competitor was not by chance, but a result that there was no tool in the market that would offer information about similar businesses online. So he decided to make one, SimilarWeb, which is today’s one of the two leading companies in the web measurement industry, with 80 employees. The impressive competitor is Alexa, owned by Amazon. Or’s journey began when he decided to turn his parents’ passion for jewelry into a business. The success of this venture enabled him and his co-founder, Nir Cohen, to work for almost two years on their SimilarWeb project, before even raising investment money. Nir is currently the CTO of similar web. When they started, their product was a simple tool, which offered anyone the ability to find similar websites to the ones they’re visiting – a powerful way to explore the web and discover competitors online. The product was a huge success and it made a huge impact. It was used by millions of people around the world, but unfortunately, as Or was soon to find out, having a product that everybody likes does not guarantee the financial success of the company. Despite of the fact that many used it, the founders could not find a way to monetize on this tool. So they started to develop a software platform, to help online marketers not only with similar websites, but also showing information and statistics about the competitors – who are their visitors, where do they advertise, etc. 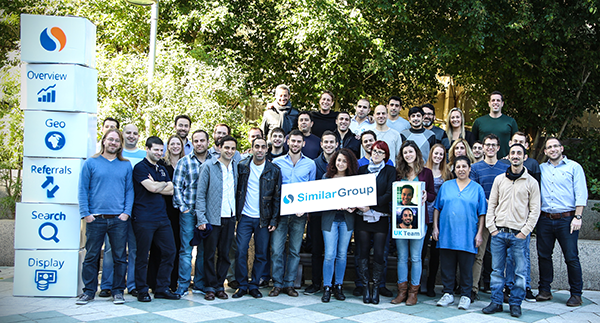 Today, SimilarWeb is expanding fast with offices in London and Germany, and its customers include some of the biggest companies in the world, including eBay, Panasonic, Adidas and many more.